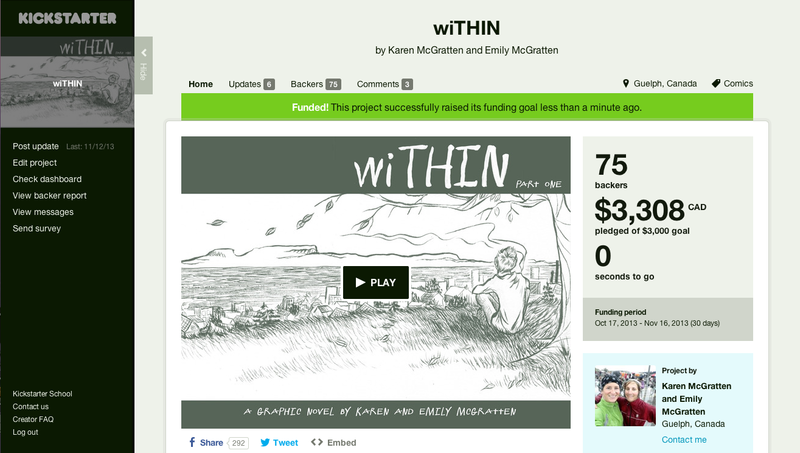 wiTHIN is a graphic novel that takes the reader from pre-eating disorder to post-eating disorder and the journey that lay wiTHIN. Thank you to everyone who was a part of this! What a huge encouragement to us! Stay tuned for updates!! And the Kickstarter Campaign Has Begun! Hey everybody! We have started a kickstarter campaign to help us raise the funds to publish the book! Please check out all the various rewards we have and decide if you would like to support this project financially. Thanks guys!